Georges Courteline (born as Georges Victor Marcel Moinaux in Tours, France, died in Paris, France) was a famous Dramatist from France, who lived between June 25, 1858 and June 25, 1929. He became 71 years old. 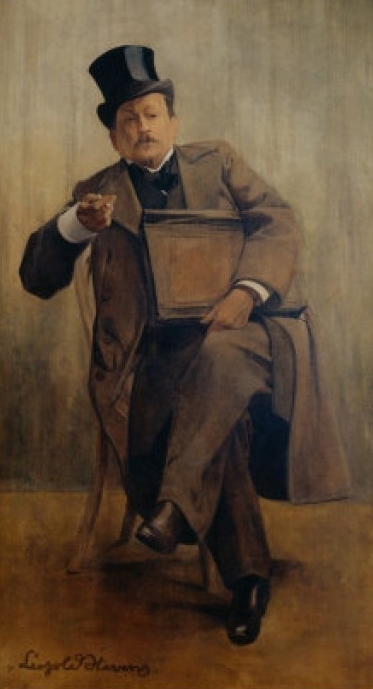 Courteline was umbetsman in Ministry of Culture, while he published under the pseudonym comedies in molièrsk tradition. He debuted in 1886 with the satirical collection of stories from his own military service, Les gaietés de l'Escadron. Bourbourche is being sought as his main work which he gave out in 1893. Other important works are Le train the eighth 47 (1891), Messieurs les ronds-de-cuir (1893), M. Badin (1897), Le gendarme est sans Pitié (1899), La paix chez soi (1903), and La conversion d'Alceste, a continuation of Molière's Misanthrope. He became a member of the Goncourt Academy in 1926. He is born under the zodiac cancer, who is known for Emotion, Diplomatic, Intensity, Impulsive, Selective. Our collection contains 2 quotes who is written / told by Georges. "It is better to waste one's youth than to do nothing with it at all"
"If it was necessary to tolerate in other people everything that one permits oneself, life would be unbearable"